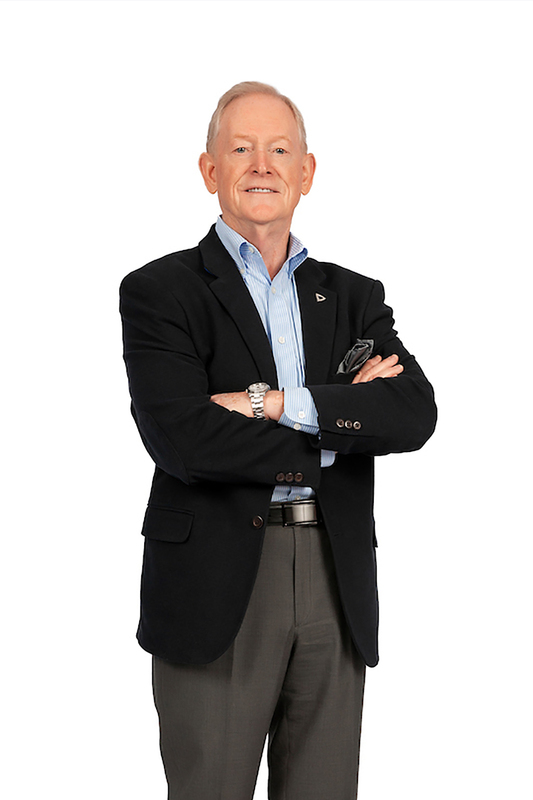 Pete Davisson, SIOR, CCIM is a founding principal of Jackson Cross Partners (JCP), bringing more than 38 years of national sales experience – 28 of which are in the Wilmington and New Castle County commercial real estate community – to JCP. He started that tenure as an office-leasing specialist for the original Jackson Cross Company. He is a licensed Realtor in Delaware, Pennsylvania, New Jersey, Maryland, Louisiana and New York. Historically, Pete has been involved in over 1,000 transactions to include in excess of 3 million square feet of space and $700 million in sales and leasing, representing both Landlords and Tenants. Bank of America, sold 2 office buildings and the corporate jet hangar for the bank. An office building in Dover, Delaware brought 27% higher than the asking price, and a 138,196 square foot headquarters building in Greenville sold for $20,000,000+. ING USA Holding Corp., tenant representative assignment, where he helped to establish their world headquarters in Wilmington, Delaware for ING Direct, and Café’s in New York City and Philadelphia for customer walk-in services. Marine Midland Bank, NA, a tenant representation assignment in which his client leased 189,000 square feet of a 318,000 square foot build-to-suit office building. RREEF Management, a landlord representation assignment, where new leases, expansions and renewals totaling 217,000 square feet were completed with PNC/PFPC, DuPont Dow Elastomers, Canon Business Solutions, Xerox, Raymond James Inc. and Right Management, among others. Hercules Incorporated, a landlord representation assignment where in 20 months he leased 193,600 square feet in their 600,000 square foot world headquarters. A graduate of St. Joseph’s University in Philadelphia, he has completed advanced real estate and management courses at Penn State University, Delaware County Community College and Polley Associates Real Estate School. He has served as an instructor for the National Business Institute and the Delaware State Chamber of Commerce. Pete has earned the SIOR (Society of Industrial and Office Realtors) and CCIM (Certified Commercial Investment Member) designations, and is active in SIOR both locally and nationally. Additionally, he has served on the Boards of the CIRC (Commercial Industrial Realty Council), the Committee of 100 in Wilmington, Delaware and Tri State Realtors Commercial Alliance of which he was a founding member. In the years 1999 and 2000 Pete was recognized by the CCREA (Coalition of Commercial Real Estate Associations) with the Member Organization Award on behalf of CIRC and SIOR. For the year 2002, he was included in the Million Dollar Club (Revenues) and at the same time was recognized as the Insignia/ESG Mid-Atlantic Region Most Valuable Player in the Office Brokerage Department. For the year 2002, he earned the Top Agency Producer Award for Insignia/ESG’s Philadelphia Region. In 1992 Pete was the Broker of the Year for Rouse Associates and in 2006 he received the same recognition from Harvey Hanna & Associates.